On Saturday, January 26, Pacific Whale Foundation will host its first of three “Great Whale Count” research events, which are free and open to the public. The dates are Jan 26, Feb 23 and Mar 30, 2019 from 8 am – 12 pm. The annual Great Whale Count brings volunteers together to count whales from shore as part of a long-term survey of humpback whales in Hawaii. This 3-part event provides a snapshot of trends in relative abundance of whales and is one of the world’s longest-running citizen scientist projects. The Great Whale count dates take place on the same dates as Hawaiian Islands Humpback Whale National Marine Sanctuary’s annual Ocean Count, which are moving forward despite the federal government shutdown. 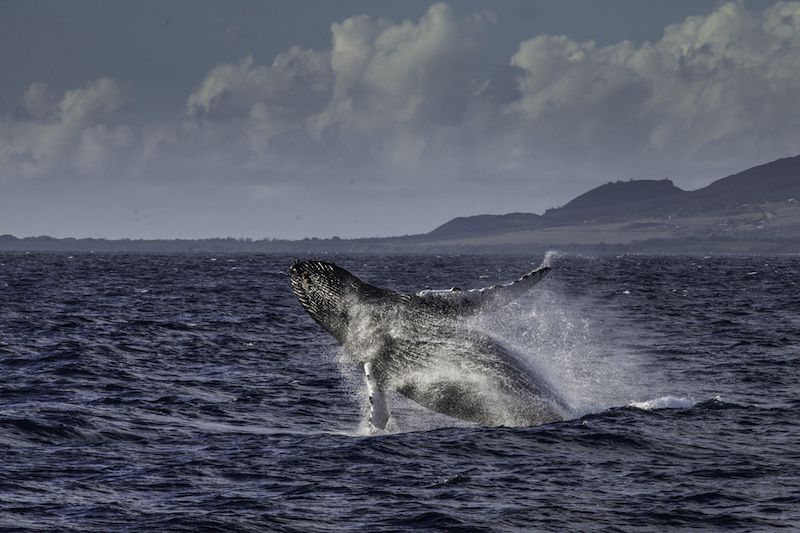 “Fewer humpback whales are being observed in the main Hawaiian Islands in recent years, and we don’t know why,” said Kris Sarri, president and CEO of the National Marine Sanctuary Foundation. While citizen science cannot replace dedicated research surveys, it greatly supplements knowledge and is an important tool for science outreach and for sharing important conservation work with the public. Participants for Pacific Whale Foundation’s Great Whale Count must be registered in advance. Registration can be completed online at mauiwhalefestival.org/greatwhalecount. With a mission to protect the ocean through science and advocacy and to inspire environmental stewardship, Pacific Whale Foundation (PWF) conducts Research, Education and Conservation programs for the communities in which it serves. Founded by Greg Kaufman in 1980 as a 501(c)(3) nonprofit organization dedicated to saving the world’s whales from extinction, PWF now operates a social enterprise that offers fee-based programs and services through PacWhale Eco-Adventures to help fund its nonprofit work. Combined with memberships, donations, charitable grants and a remarkable group of dedicated volunteers, PWF now reaches more than 400,000 individuals each year through its Maui and Australia offices and research projects in Ecuador and Chile.